Election Printing is a breeze for Jett Print. With the Federal Election quickly approaching now is the perfect time to start organising your election advertising campaign. Show your supporters a unified front with professional printing and marketing material. More Exposure = More Votes! 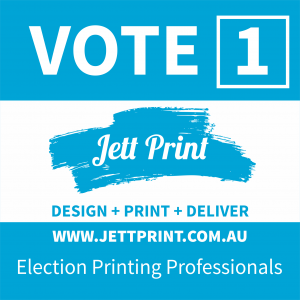 Jett Print have all your election printing needs covered. We have the printing and marketing experience to get you noticed & be sure that you stand our from other candidates! The benefits of a well organised, professional and eye-catching election printing campaign speak for themselves. Let Jett Print help you to spread your message. With our range of election printing materials. Shout it from the roof tops with custom designed corflute signs, how-to-vote flyers, canvasing cards, election posters, car magnets, ballot papers, drink coasters, pens, envelopes, pull up banners, you name it, we design, print and deliver it Australia wide! 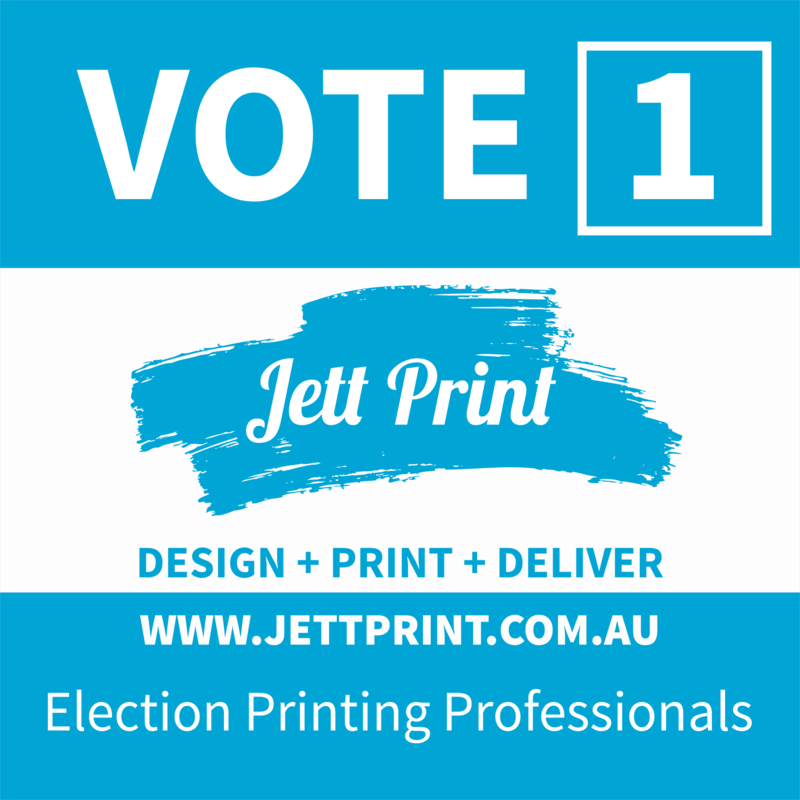 Use Jett Print for your election printing for big impact to get your name (and face) out there in your community with clear and simple how-to vote flyers. These are an absolute must on election day. Jett Print offer an in-house graphic design service to help you to get your election message across quickly and easily. Our team work with you to ensure your marketing material and election printing compliment each other and your message. All Jett Print Election Printing materials are printed using the highest quality stocks. You can request a sample pack of some our products so you can see our quality for yourself.